Often here in the Power House the focus is strength. More often than not it is placed around one particular lift. Weather it is the deadlift, bench press, squat, or some type of Olympic lift, The goal should always be about improving overall power and strength. Since the main goal is always to improve strength and power, it is important to make sure you are applying the right methods to help you achieve your main goal. By not just focusing on the lift, but looking at developing a total program, not only are you improving your big lifts but you are also helping build a solid training program for your goals. Today we are going to examine a few principles that should be applied when trying to build a larger squat. By looking at these five areas and taking aim to improve them, you will be taking a well rounded approach to increasing your squat numbers. Now let’s take an even closer look at the five different squat building areas. 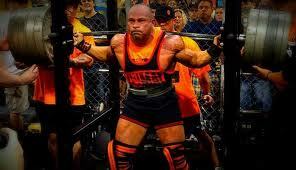 There is a funny train of thought in powerlifting that anything over five reps is considered high reps. The main focus of training should be about strength development. That means a lot of very heavy weight being lifted for low reps. High weight low rep type of training works the CNS (central nervous system) a lot. By placing more emphasis on the CNS, more muscles can be recruited for overall power. While heavy loads/ low reps are great for developing the CNS for strength training, it is not the best range for building leg mass. Since strength development is more about CNS building rather than muscle building higher rep ranges are more beneficial to developing muscle hypertrophy than CNS development. 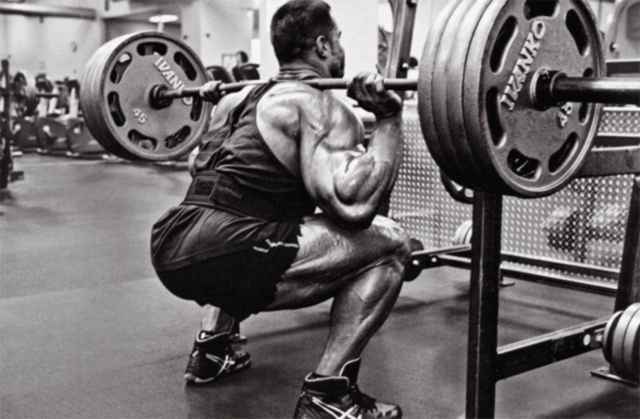 Bodybuilders tend to train in a higher rep range and have bigger legs than most powerlifters. Powerlifters tend to train in a much lower rep range than bodybuilders but also tend to be stronger when it comes to maxing out. When trying to get your squat totals up focus more on a rep range that gives the best CNS development. You should train for heavy weight and low reps. Does this mean that you should get rid of all higher rep training? Not exactly. While the goal has nothing to do with building big muscles, bigger muscles can be beneficial for squatting. Bigger legs take up more surface area. This will in turn add more support, stability, and joint strength for squatting. A little leg size will be beneficial but you should still keep hypertrophy training to a minimal. If you wanted o do some hypertrophy work, once a week a person could do 3-4 sets of 8-12 reps as auxiliary work in their program. While a little taste of hypertrophy is nice every once in a while, be sure to make your main meals off of heavy weight low rep training. 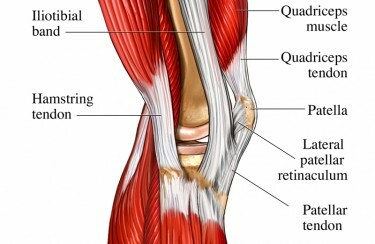 Another area to look for building a squat program is tendon strength. Heavy weight/low rep training is not the easiest thing on a person’s joint and tendons. Since that is the case, one area to work on is developing tendon strength. Tendon strength is extremely important in the aspect that tendons transmit force from muscles to bones so movement can happen. When tendons are strengthened they become stronger and larger. The increased size and strength makes them more able to hold up under pressure and tension, a pretty important thing when there are hundreds of pounds on your back pushing you down. There are two very good ways of developing tendon strength. One method is thru submaximal loading. Submaximal loading has a person use more than one hundred percent of their max weight in a limited range of motion. The shorter range of motion always the tendons to hold up against loads that they would not or could not normally be put up against. Exercises like partial deadlifts, or squats off of pins are two examples of good partial movements that strengthen the tendons. You want to perform these in a rep range of 5 and under. Tendons have very little in the way of blood supply so another good way of strengthening them is filling them full of blood. The blood helps pump the tendons up. A fuller pumped up tendon equals a stronger tendon. One of the best ways to load a muscle full of blood is thru ultra high reps. When I say ultra high reps, I don’t mean 15 or 20 reps. I am talking in the 100-200 rep range per set. The weights used should be ultra light. Resistance bands and ankle weights make excellent tools for this type of work. Resistance band pull thrus, lying leg curls with ankle weights, lying leg curls with bands, and bodyweight squats all make great choices. There’s an old saying “A person can’t get stronger till they know their weaknesses!” You don’t know how much this statement applies when it comes to squatting. If your squat is not progressing, you need to examine why. Great squatters are not great squatter because they can lift a lot. They are great because they can assess their weaknesses and work at them to better themselves. Whatever your weakness is you need to devote time in your program to specifically address the issue. Are you explosive out of the hole? Most likely if you can’t come out of the hole very quickly your max squat is probably not that astounding. How high is your vertical leap? Why do I ask about your vertical leap? 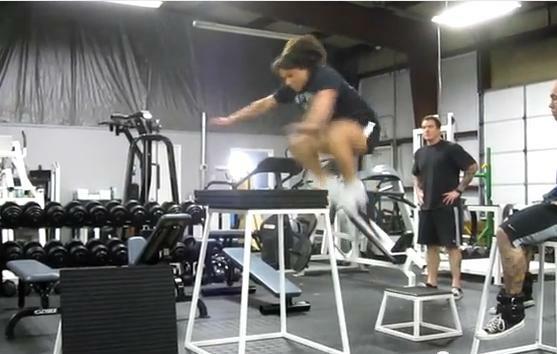 I asked because vertical leaping has a direct correlation with squatting speed and power. A lot of really good squatter have…….really good vertical leaps. Make yourself more explosive and you will also make your squat more explosive. Plyo- jumps, box jumping, box jumping with weights, barbell jumping from the knees, and speed work with bands will all help in the explosion department. If you’re not flexible and mobile you will not squat very well. Squatting requires a lot of flexibility in the hips, hamstrings, glutes and ankles. Make sure you are properly working on any flexibility or mobility issues you may have. Tight ankles may not allow you to get low in your squat. Tight hamstrings will not allow you to sit back in your squat. Tight hips may place extra stress on your lower back. Tight or inactive glutes will take away from your squat since the glutes are the main pushers during a squat. Tightness or lack of mobility in any of these areas also can lead to hip knee, and or back issues. If you are not doing any mobility or flexibility work….start! If you already are doing some…..do more! Hip stretches, hamstring stretches, and glute stretching are great places to start for flexibility. For mobility work box squatting is some of the best stuff you can do. Other good exercises to go along with box squatting are dumbbell swings, pull thrus, adductor/abductor work, and various types of good mornings are great choices. When working to increase your squat max make sure your not just getting under the bar and squatting but looking at building a solid squatting program. Be sure to look at working your CNS, tendon strength, what areas you’re weak in, explosiveness, and mobility. By looking at several aspects you can build a complete squat program making you better in several areas. Once you take this well rounded approach look for your numbers to soar. You may even improve in areas that you did not know you were weak in.